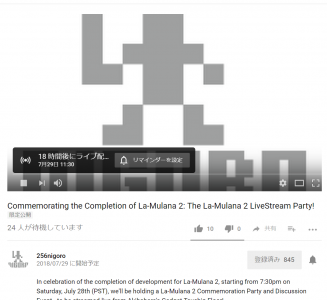 LA-MULANA fun meeting: LiveSteam Party! Thankfully, all tickets for LA-MULANA fun meeting was immediately sold out. We were trying to secure some more seats, but it’s difficult to make it. So, we are going to livesteam the party on 29th July (JST). We recomment to watch it on niconico for Japanese audience. For western audience, watch it on Youtube or Steam Live Stream. As you may know we are all Japanese, simultaneous English interpreting will be provided. 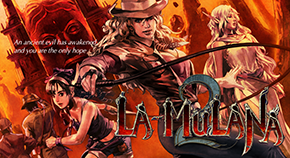 We couldn’t be happier if many people join the “Commemorating the Completion of La-Mulana 2”.